Recently we provided our first SysCAD training course in Spanish in Santiago, Chile. 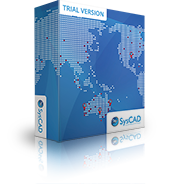 The SysCAD training materials were translated to Spanish by Promet101 who are agents for SysCAD in Chile. Kenwalt and Promet101 jointly provided the first training course mainly in Spanish which was well received and appreciated by the trainees. Please contact us or Promet101 for further information on SysCAD Spanish training materials or courses.